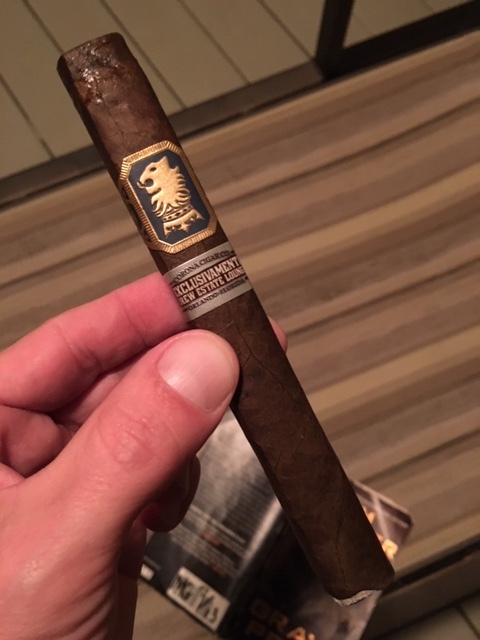 @WalkinStick talkes me into buying a few Undercrowns. I’d never tried them before. These are delicious!! Out fishing this weekend I opened my chest pack and found this. Probably has been in there two months. Perfect. Not dried out. 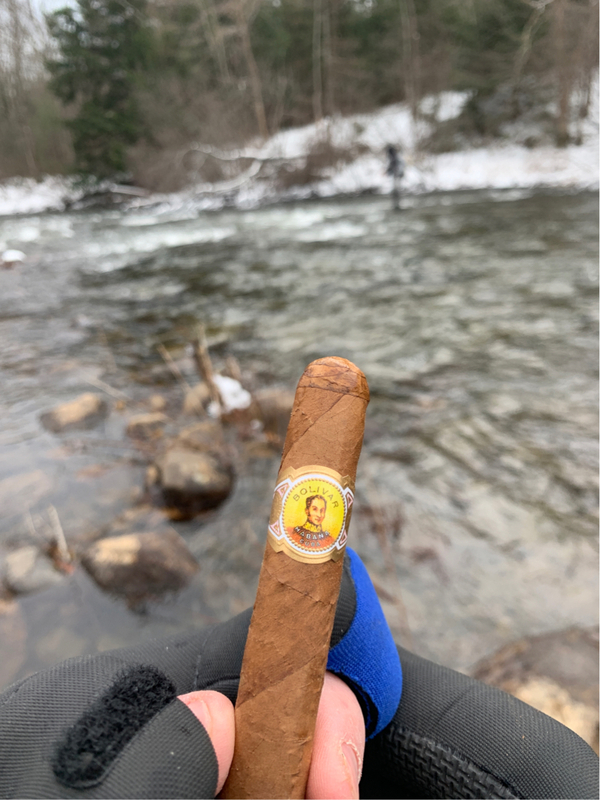 Smoked it on the river and boy did it hit the spot in a cold day. damn...snobs would tell you that you did a disservice to that stick. Reality is you couldn't have sent it to heaven in a better way. Cutter’s in the other room and I’m already comfy is desperate enough in my book. Just smoked my last one last night. I'll have to get some more of these! I’m glad you liked them. I had a feeling that you would. damn...snobs would tell you that you did a disservice to that stick. . .
Oliva V Lancero after work. 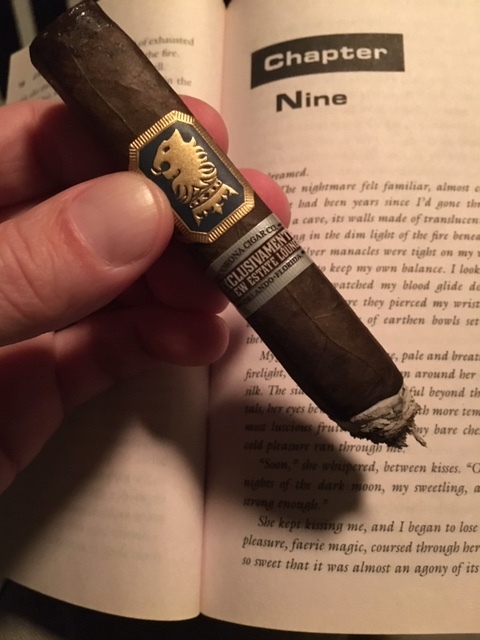 IMHO the V lancero is a masterpiece. 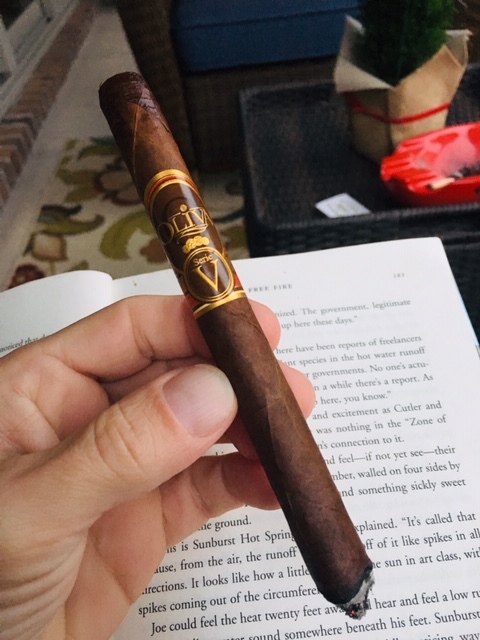 I was told by an Oliva rep that the Lancero was the shape that they used for the V line in order to get the blend right. So in essence, it was the original V.
Last night while playing cards it was an absolutely amazing 2007 H. Upmann Sir Winston followed by a 305 H. Upmann Mag 46. Last one in the box. Haut 10 from a couple years ago.